Sony has become the first third-party smartphone maker to release an over-the-air Android 7.1.1 Nougat update to one of its devices. The Concept team has released the build to owners of the Xperia X phone who have signed on to get updates on the Experimental track. According to Xperia Blog, the build number for this update 38.3.A.0.41. In addition to Android 7.1.1 Nougat, this new release has the December 2016 Android security updates. Plus, it has a few small extra features, such as a new restart option in the power off menu, a faster camera start-up time, and most importantly support for Remote Play for people who also own the PlayStation 4 console. That means you should be able to play your PS4 games on the phone, although this early build does not support the console’s DualShock controller. Again, this build is just for Xperia X owners who are signed up for the Experimental update track. However, it’s likely that the same Android 7.1.1 Nougat update will soon be available for all owners of the smartphone. 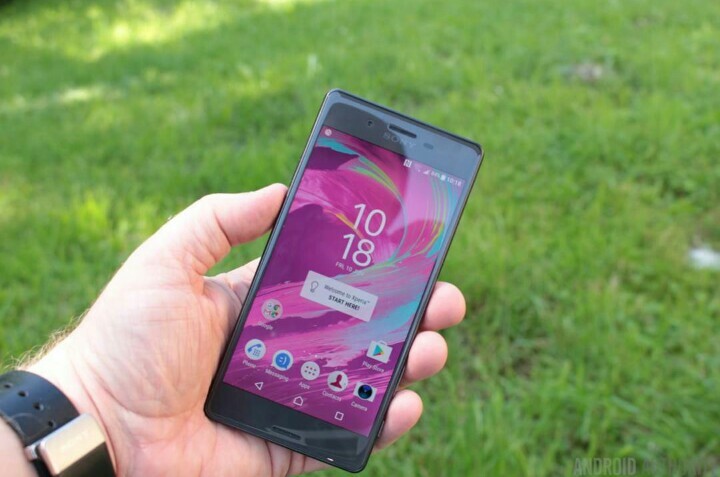 If you are one of those lucky Experimental members, what are your thoughts on the new update for the Xperia X? Let us know your thoughts in the comments!